We designed our six, purpose-built guest cottage suites at Owen River Lodge with both the angler and non-angler in mind. 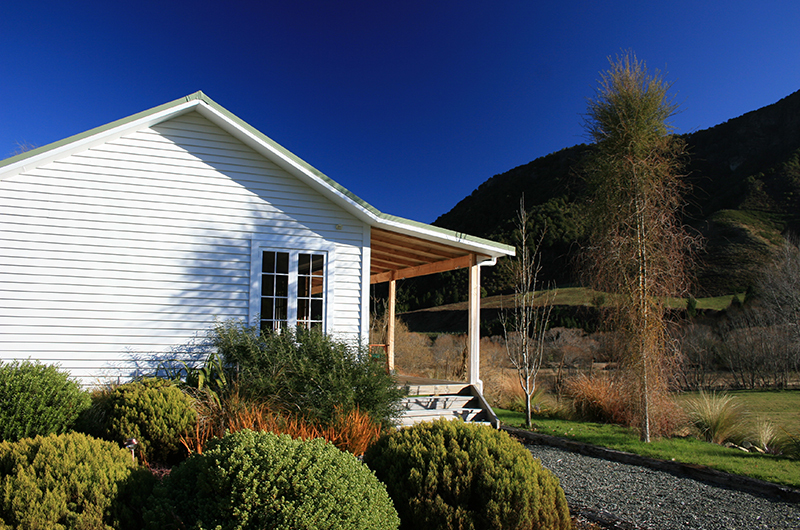 They are located in the garden, a short stroll from the main lodge building. 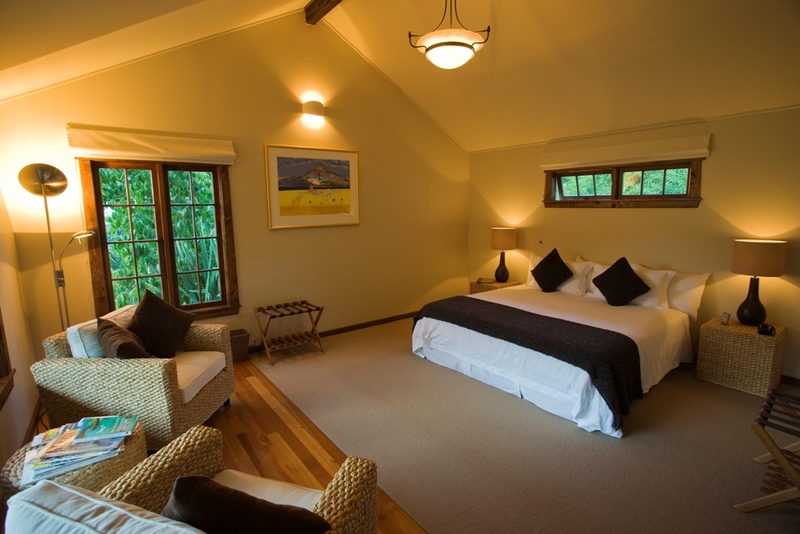 These luxuriously-appointed suites enjoy stunning views of the water, the valley and Kahurangi National Park, with the delightful sound of the Owen River in the background. Their design emphasises light and space, accentuated by soaring, cathedral-type ceilings. They all feature fine art works and 100 year-old recycled Oregon beams and woodwork. Our accommodation suites can be configured with either a king-size double bed or twin single beds. We have a total capacity of 12 guests. Suites are equipped with reverse cycle air conditioning, an electronic safe, ironing facilities, an alarm clock, mini bar stocked with complimentary soft drinks, premium New Zealand fruit juices, our own home made mineral waters, and tea and coffee making facilities - with real freshly ground coffee beans. 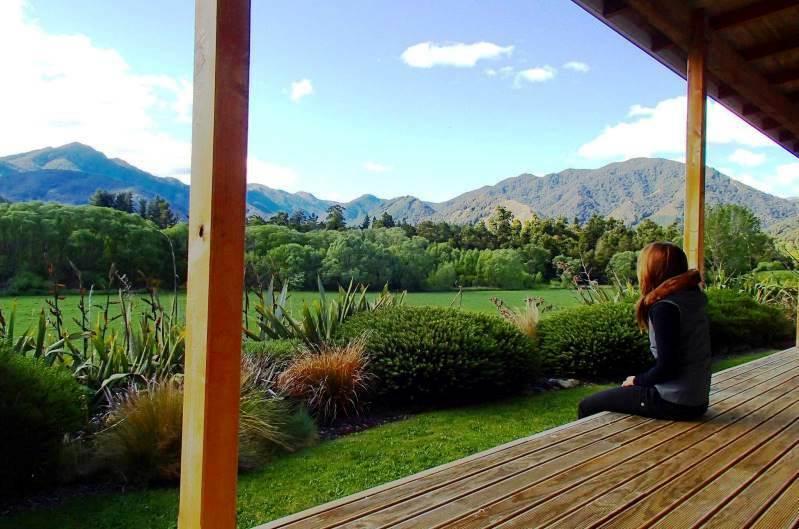 They also contain en suite bathrooms equipped with oversized towels, bathrobes, a hairdryer and, of course, quality New Zealand made shower gels, body lotion, shampoo and conditioner. We have WiFi available in our guest cottage suites and the main lodge building, so you can email pictures of all the enormous trout you’ve been catching to family and friends back home. We get a lot of great feedback from our guests about how comfortable our beds are. Duvets/comforters are filled with 100% Kiwi Merino wool and we offer a range of pillows to help ensure you get great sleeps while you’re with us. Spacious verandas provide a great location for a late-afternoon reading session as the sound of the river murmurs up from below. Alternatively, you can watch for rising trout, or just soak up the breathtaking views.